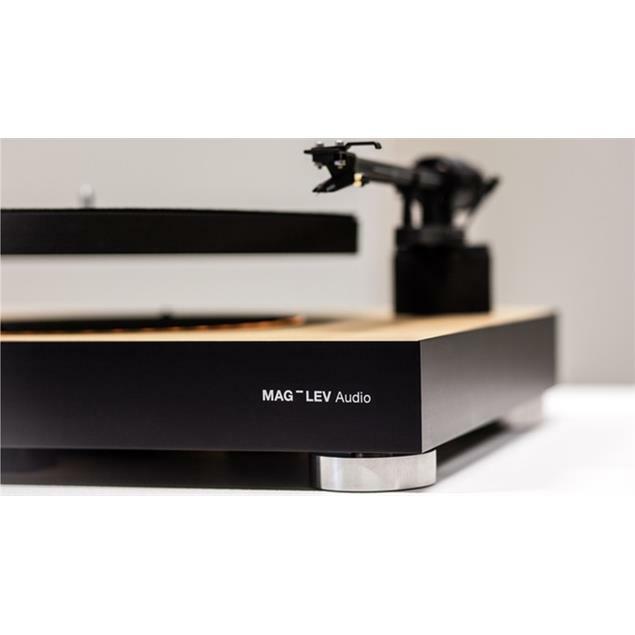 MAG-LEV Audio's ML1 Turntable visually enhances the experience of listening to vinyl records by levitating the platter. 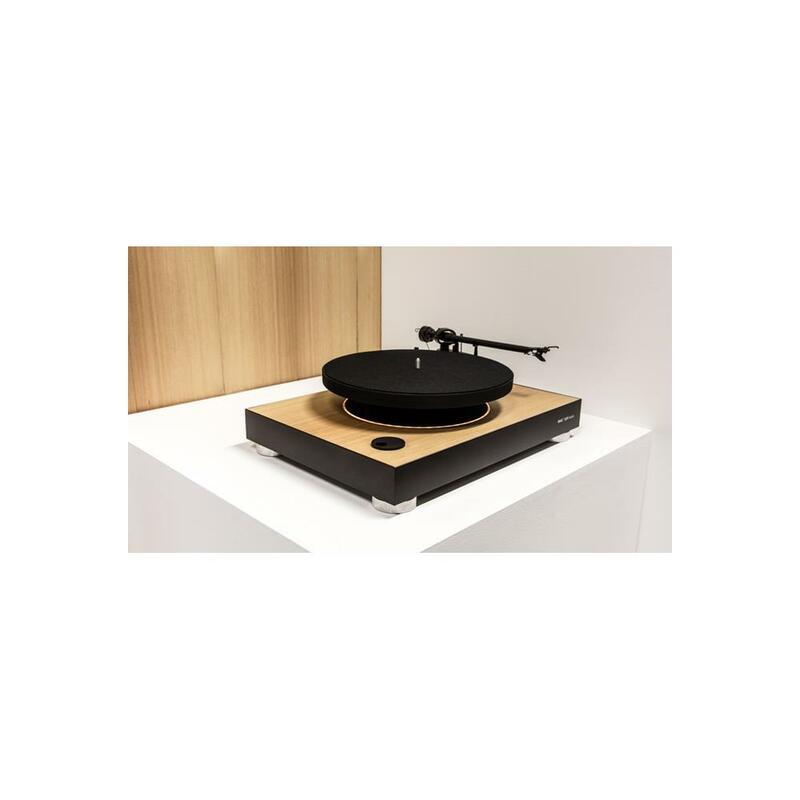 By joining our love for music with careful integration of technology and high-range audio components, we’ve created a turntable of the future for the medium of the past. 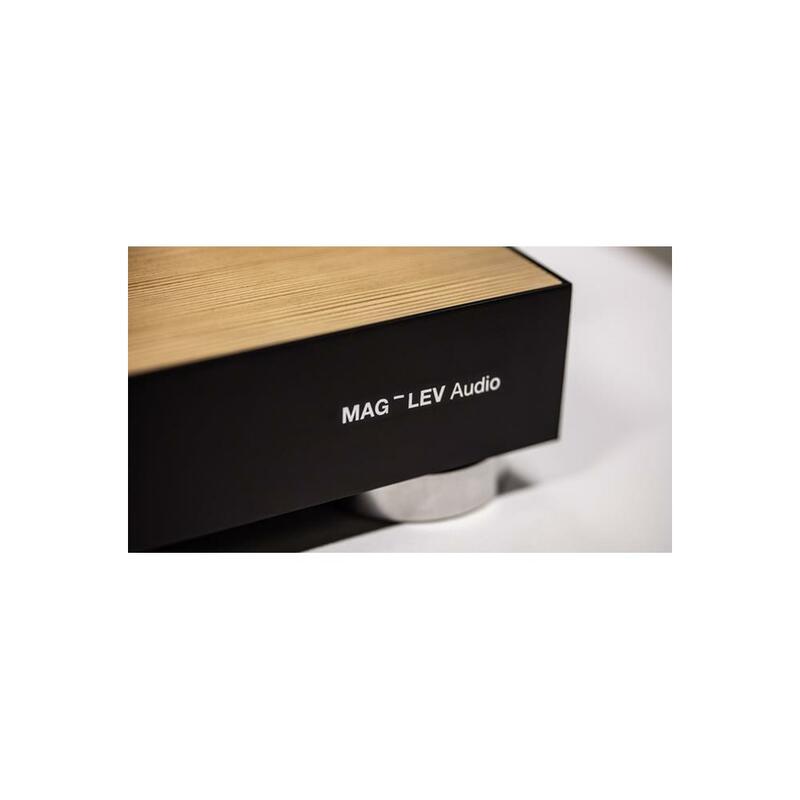 At MAG-LEV Audio we love innovation and music. We were searching for a way to give people a better, newer way to experience vinyl records. By pushing the frontier of audio technology, we were able to integrate the uplifting experience of music into the turntable design itself, bringing the feeling of zero gravity into your living room. We call it The Art of Technology. 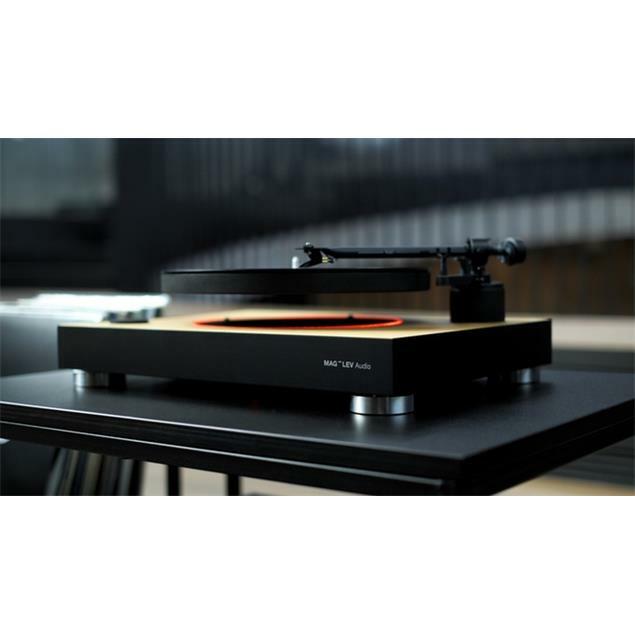 The Levitating Turntable is designed for people who appreciate high quality sound and innovative design. 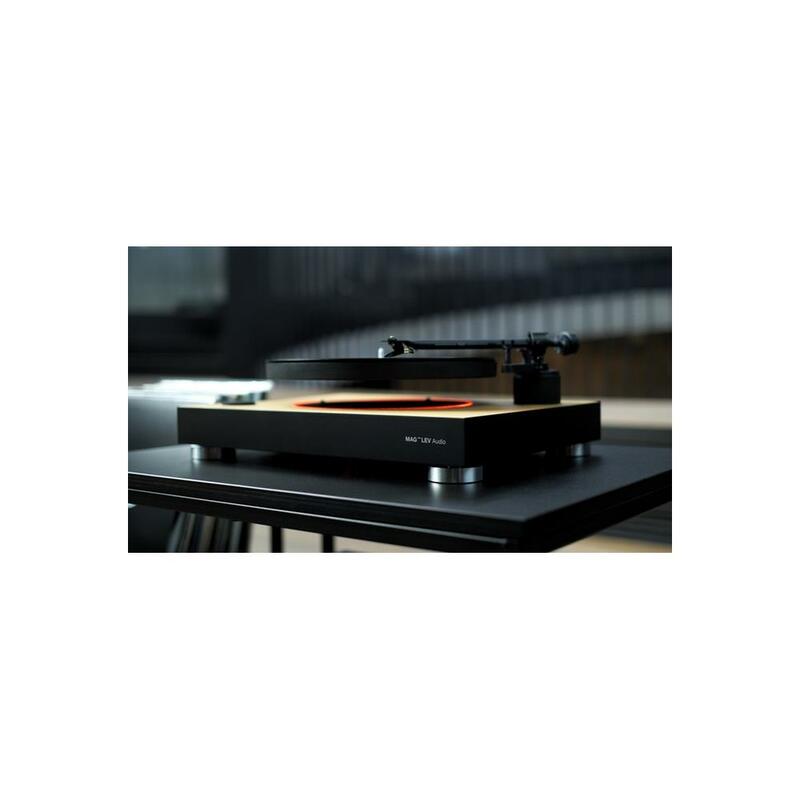 It comes with a pre-fitted tonearm and cartridge. This setup allows you to connect through phono in. Once you’re done, you just have to pick your favorite record, turn the turntable on, move the tonearm into position and lower the cueing lever. Then sit back, relax and enjoy. 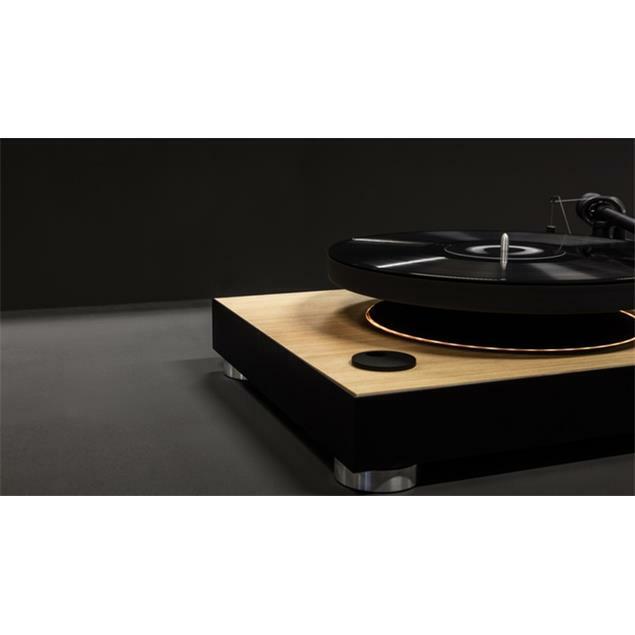 Drive system - The drive system in this turntable is where all the magic is. It is completely different than anything else on the market. 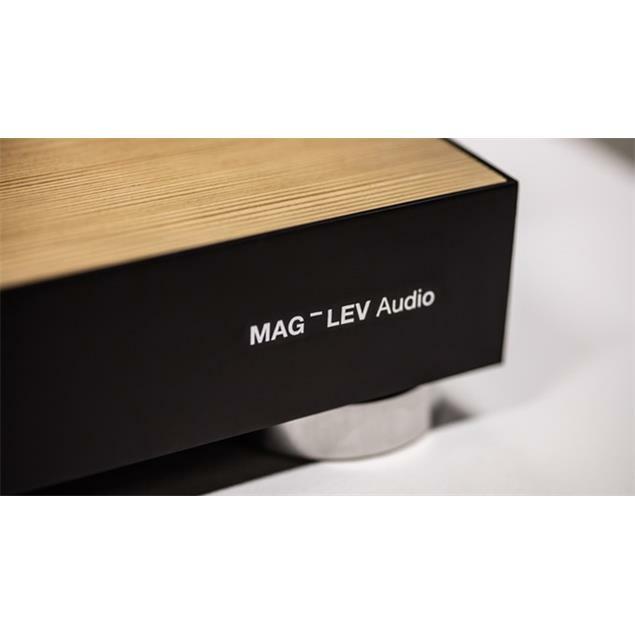 By using our innovative and patented technology, we were able to achieve not only magnetic levitation, but we’ve also been able to maintain the incredibly precise turning of the platter with sensor regulating software. Air is the smoothest medium with least amount of friction, which further elevates this project into a truly unique listening experience. 33.3 / 45 R.P.M - You can switch between 33,3-rpm and 45-rpm with just a turn of a button. 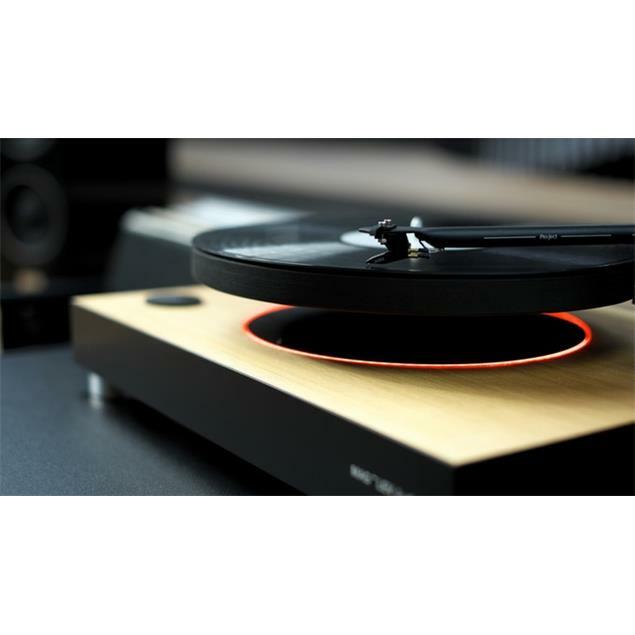 To ensure you have everything you need, we’ve supplied you with a 45-rpm adapter, so you can enjoy all types of records. 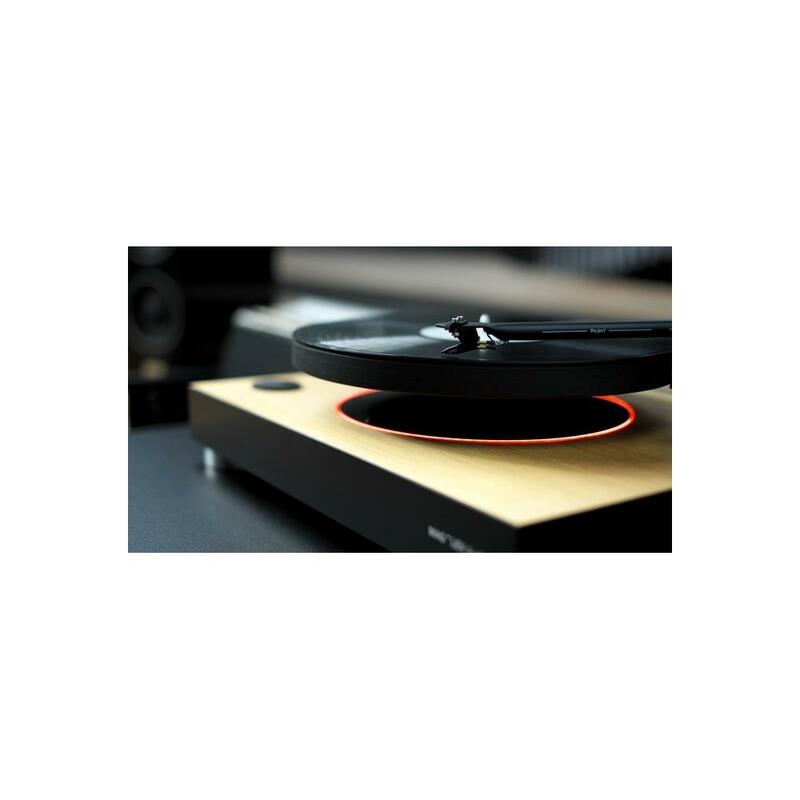 Cueing Mechanism - When it comes to vinyl, the cueing mechanism plays a vital role in the listening experience. The gentle drop and the precision of the needle is what make the entire process feel even more satisfying. Picking your favorite song becomes simple and even beautiful. 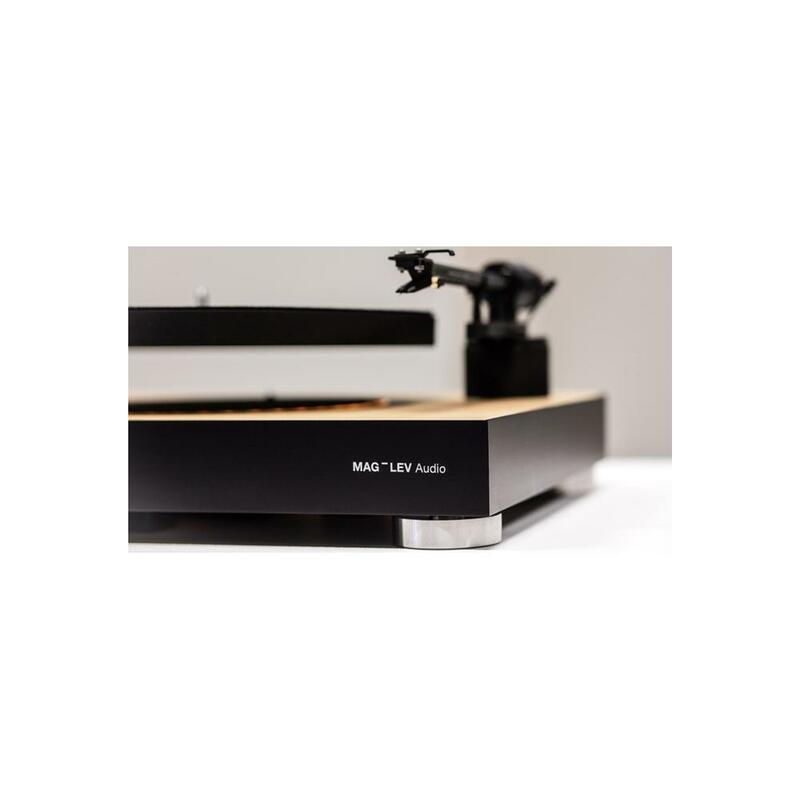 Semi-automatic system - We understand how important your records are to you, so our turntable lifts the tonearm at the end of your record. This function keeps your records from being scratched and also prolongs the life of the cartridge. Platter feet - We’ve added platter feet, which allow the platter to rest in OFF mode. These feet automatically retract when you begin using the turntable. When the tonearm is placed back in its original position, the platter feet will automatically rise up and you can safely switch off the turntable. UPS system - Accidents happen, and we know that sometimes you may encounter a power outage, so we’ve designed the turntable with a UPS system. This solution stores enough power to safely lift the tonearm, stop the record, and return the platter feet to resting position. 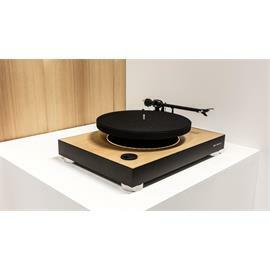 This way the turntable and your record remain in perfect condition even when the unexpected happens. 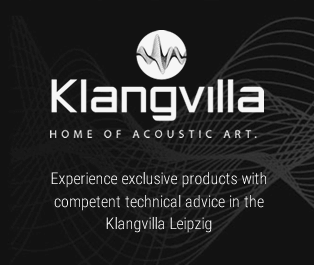 In our living room studio "Klangvilla" in Leipzig we feature more HiFi products which are at all times ready for presentation. You will have the option to be explained and demonstrated high-quality high-end devices by our sales manager who will be available for you. We can also recommend the appropriate wiring and other high quality Hi-Fi accessories. Please just simply arrange a date for demonstration or consulting service with our home Hi-Fi sales manager.